It is a wall-mounted coatrack with high practical value. Space-saving attached on the wall, you can hang on dresses with or without use of a hanger. 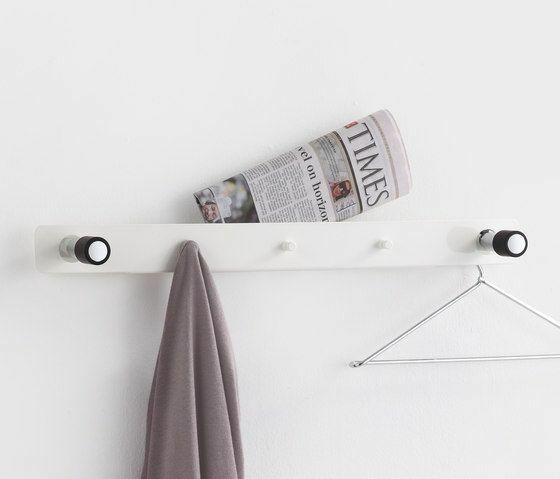 The way TWIN is designed also let it work as small storage shelf for newspapers, letters, cell phones and many more workaday objects - for everything needs to be taken away in the morning when go working.